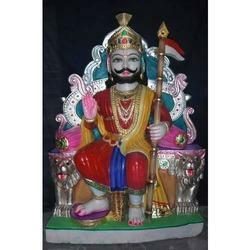 Leading Manufacturer of ramdev baba marble statue and ramdev baba statue from Jaipur. We are passionately engaged in offering an exclusive range of Ramdev Baba Marble Statue. Intricately designed by our innovative craftsmen with superior grade material, offered statue portray the intricate craftsmanship. In order to ensure unmatched quality, this is stringently quality checked on several parameters set by the industry. Extensively praised for its features, this can be customized as per the specific requirements of clients. 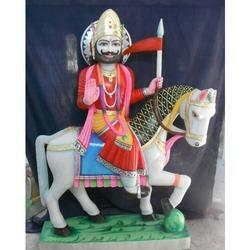 We are offering best quality Ramdev Baba Statue to our valuable clients with best quality marble and fully hand made. These are made by high grade of marble that are according to the requirement of client. Looking for Ramdev Baba Statue ?